Amazon has a long but quiet history of giving back. It has launched initiatives to employ disabled veterans and their spouses, created the Amazon Smile website that supports consumers’ favorite charities, and more. 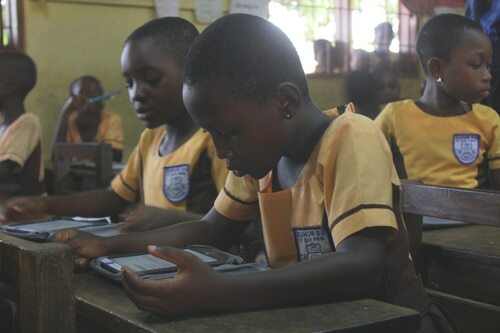 But now, the company that started with books is getting back to its roots with the launch of the Kindle Reading Fund, a branch of the organization that will provide reading materials to charities that are already doing the legwork of literacy to people all around the world. Previously, organizations had to seek donations or grant funding from outside the company in order to utilize ebooks and ereaders. One correctional facility in Alabama received a number of literacy grants, including the Laura Bush library grant and the Dollar General Youth Literacy grant, and then put those funds towards purchasing books for its library and Kindles for its classrooms. Even then, the process of spending the grant money was difficult when purchasing through Amazon, as the required oversight involved in using grant money at the time made online shopping with those funds a less-than-seamless process. Now, Amazon is cutting out the funding middleman and streamlining the donation request process. While Amazon has targeted its efforts to a list of key charities–World Reader, the National PTA, and various hospitals and schools–anyone is welcome to submit their own request to be considered for a donation from the Kindle Reading Fund. The Fund will supply Kindle ereaders, Kindle Fire tablets, and ebooks to be consumed on those devices to those who are selected. In order to submit a request, the recipient organization must be a 501(c)3 non-profit. Interested applicants can email their requests to donationrequests@amazon.com, or click through the donation request page which can be found here.